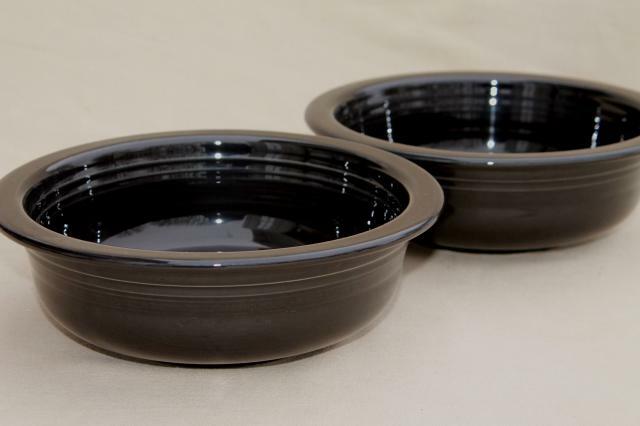 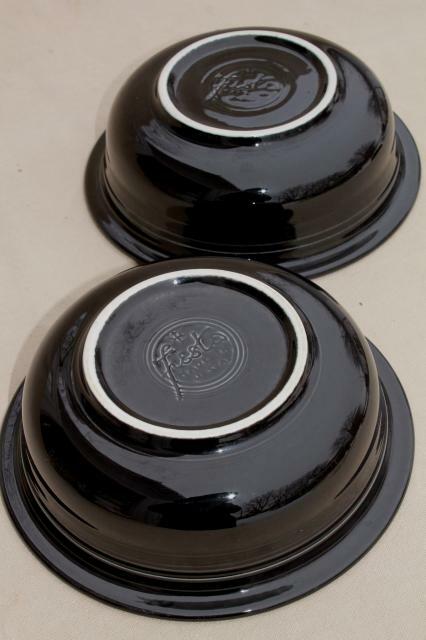 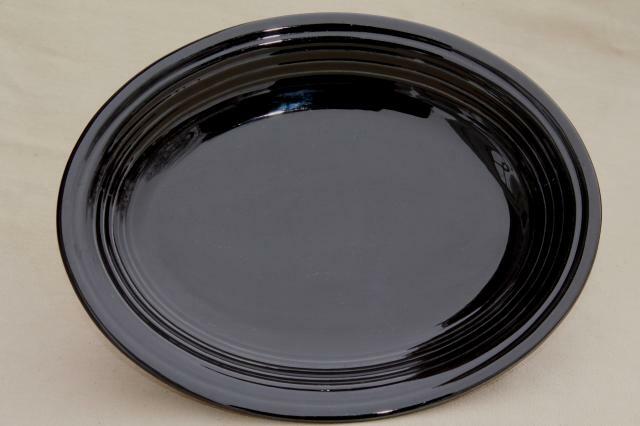 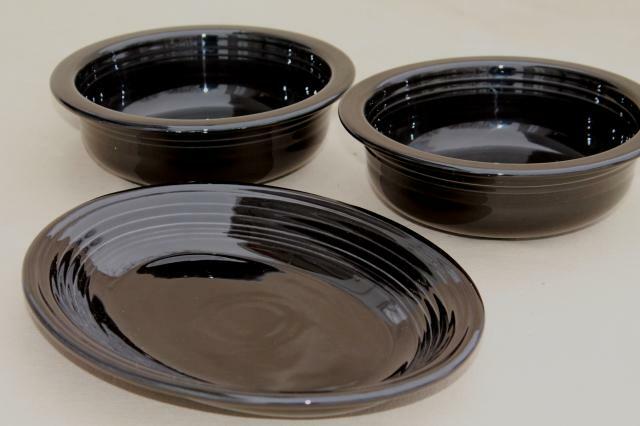 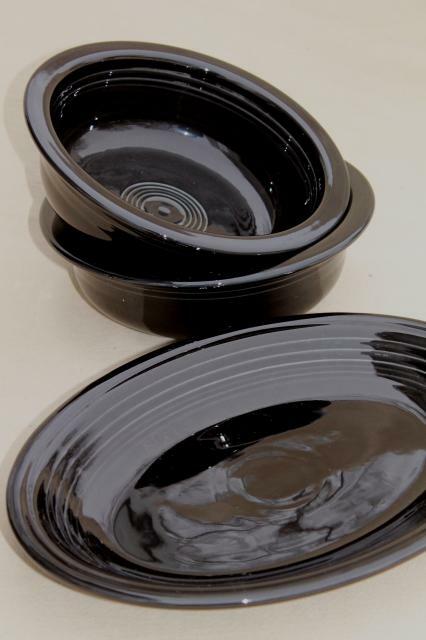 Homer Laughlin Fiesta pottery serving pieces in black, 1980s or newer? 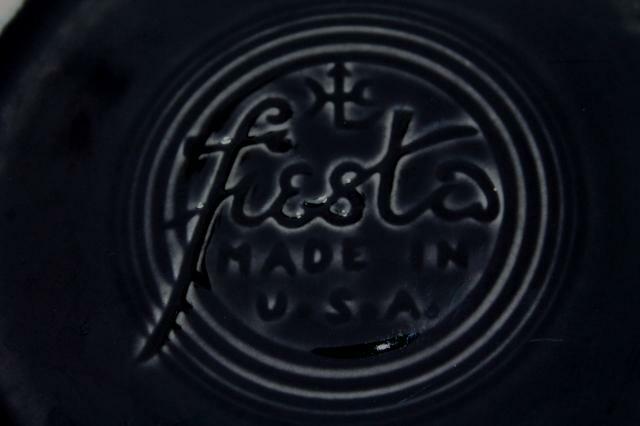 We don't collect the newer Fiestaware, and don't know a lot about it - so please email us if you need any more information here! 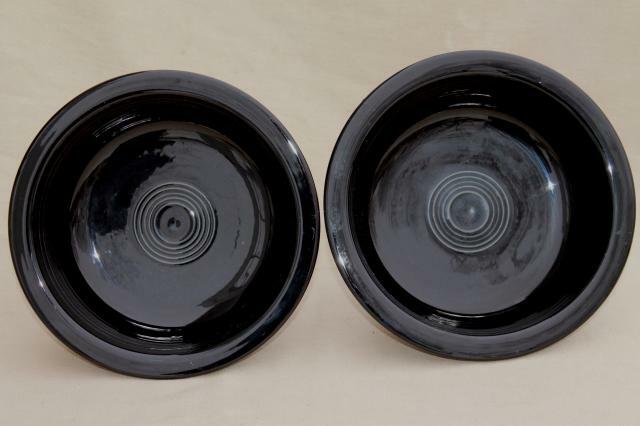 There's two of the round bowls, about 8 3/8" across the rims. 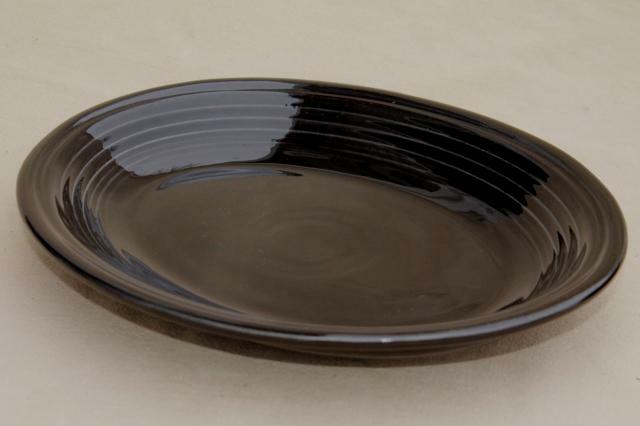 There's one oval platter, 11 5/8" long. 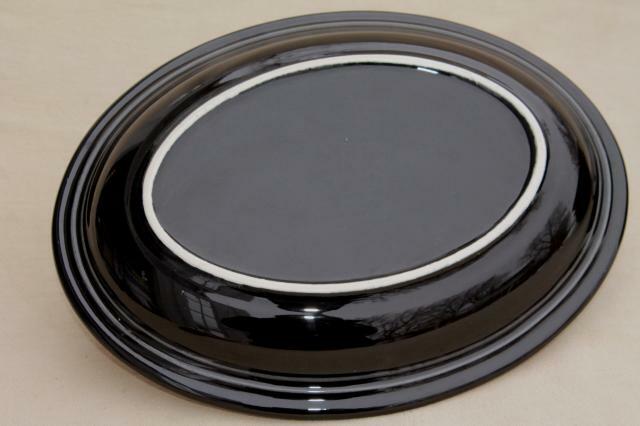 It's all in very good condition, showing very little use or scratching, no chips or cracks. 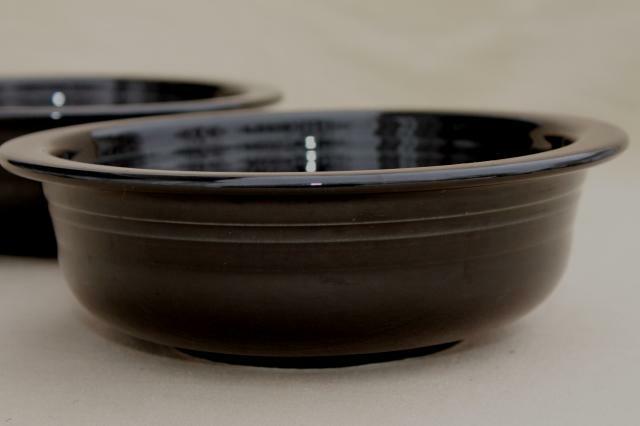 It's light spots, not glaze damage in the photos!